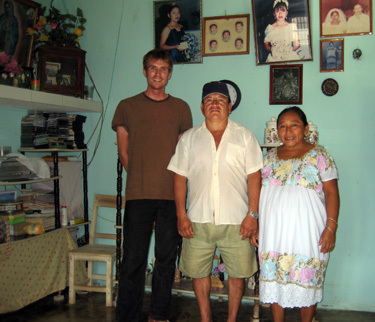 UC Santa Cruz Fulbright scholarship winner Devon Sampson visits with a family in Tzucacab, in the Yucatán, Mexico. Joanna Ory will study the impacts of a ban on an herbicide once used on corn crops in Italy. Carolina Reyes, the first in her family to attend college, will continue her research in Germany. 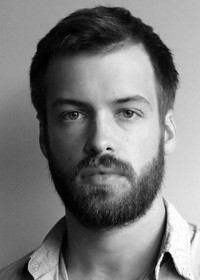 Evan Williams will research Italian film and political writing, with particular emphasis on the 1970s. Five UC Santa Cruz students in four disciplines are winners of Fulbright scholarships for a year of research and study abroad. Two of the Fulbright scholars are environmental studies graduate students; the others are in history and literature, and another just received her Ph.D. in biology. They will travel to China, Germany, Italy, and Mexico for the 2011-2012 academic year and are among more than 1,600 U.S. citizens who will travel abroad through the Fulbright U.S. student program. 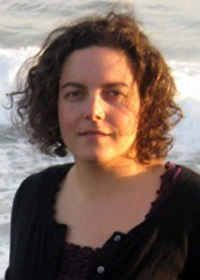 Joanna Ory graduated from Swarthmore College in 2006 with degrees in biology and psychology before enrolling in the environmental studies Ph.D. program at UCSC. Ory said she was attracted to UCSC's interdisciplary program because it allows her to pursue her interests in public policy, environmental quality, sustainable agriculture, and water issues with the goal of applying her research to solutions. This past year she also won a Sustainability Fellowship grant from the Center for Agroecology and Sustainable Food Systems. Her advisor is professor Brent Haddad. Ory will travel to Italy to research the effects of policies that limit herbicide use and promote sustainable pest management on corn farms in the Veneto region in the north. She plans to look at how the policies have affected water quality as well as farmers' decisions and economic outcomes. She leaves Oct. 15 and plans to stay nine months. Specifically, Ory is interested in how the ban of the herbicide atrizine in Italy 20 years ago has affected water quality and agricultural economics. Atrizine is currently under a national review by the U.S. Environmental Protection Agency so the experience in Italy will provide insights for the creation of U.S. policy, she said. 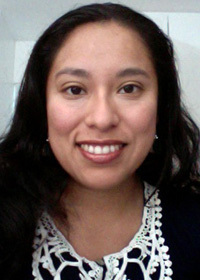 Carolina Reyes graduated in June with a Ph.D. in microbiology and environmental toxicology. The first person in her family to attend college, she earned her B.S. and M.S. degrees at UCLA. As a Fulbright postdoctoral fellow, she will be studying microbial ecology and physiology at the University of Bremen in Germany. In addition to a Fulbright grant, she was awarded the HWK Junior Fellow grant from the Hanse Institute for Advanced Study in Germany. At UCSC, Reyes worked with Chad Saltikov, associate professor of microbiology and environmental toxicology, investigating the genetics of microorganisms that use iron and arsenic in their metabolism and change those elements into different forms. The metabolic activity of such microorganisms plays an important role in the cycling of metals in the environment. Reyes will continue this line of research in Germany, focusing on microbial iron reduction (a process that reduces the oxidation state of the iron) in marine sediments in the Kattegat and Skagerrak region of the Baltic Sea. Sediments in this area are particularly rich in iron. Studying the genes and microorganisms involved in iron reduction in natural sediments may lead to the discovery of novel organisms and gene products with potential applications in biotechnology. Devon Sampson has been working in Mexico since January, researching the agro-biodiversity methods of Mayan farmers. He is based at a university in Mérida, the capital of Yucatán state, but works several days a week Tzucacab, a small municipality two hours south. Sampson, a life-long gardener, said he enrolled in UC Santa Cruz because of its agroecology program and professor Steve Gliessman. He graduated with a B.A. in environmental studies in 2005 with honors and dean's honors for his thesis. He later sat on the steering committee of the Community Agroecology Network and helped fun Paper Wings Farm, a small-scale flower-growing operation in Sebastopol that focuses on rare and heirloom varieties. He is now pursuing a Ph.D. in environmental studies. He plans to remain in Mexico through May 2012, studying how Mayan farmers use biodiversity of crops to make a living and contend with pests, drought, and natural disasters. Jeremy Tai is now in his third year of study in the East Asian History Ph.D. program at UCSC, with an emphasis on Chinese history and urban planning in China. He plans to use his Fulbright grant to support a year of dissertation research about the Chinese city of Xi’an. Tai has a background in Chinese history that includes a B.A. at NYU and postgraduate study at Columbia, plus several years of work experience in urban planning in New York City. His Fulbright project, titled “Opening Up the Northwest: Reimagining Xi’an and the Modern Chinese Frontier,” will trace the “making, unmaking, and remaking” of Xi’an, one of China’s oldest cities, over the past 100 years. During his year of research in Xi’an, Tai will collect print and visual materials, examine local government records, and conduct interviews with long-time residents. He will work with the Institute of Historical Geography at Shaanxi Normal University under the direction of a professor of Historical Geography. Evan Calder Williams received his B.A. from Wesleyan University’s College of Letters. His research project as part of his Ph.D. studies in literature will explore a set of Italian political films from the mid 1960s to the early 1980s, in their historical context against the backdrop of an intense and violent period of radical political struggle. He will do the majority of his research and writing in the national library in Naples, and plans to use his location to arrange short research visits to collections and film archives elsewhere in Italy, such as the Cineteca di Bologna. Williams will work with the Department of American Cultural and Linguistic Studies and the University of Naples 'L'Orientale. By focusing on key “political” filmmakers who used their art form to explore the most urgent issues of their time, Williams hopes to examine the questions of art’s relevance in regard to political action, its usefulness as a medium for mirroring and changing society; and its long-term value as a historical document.